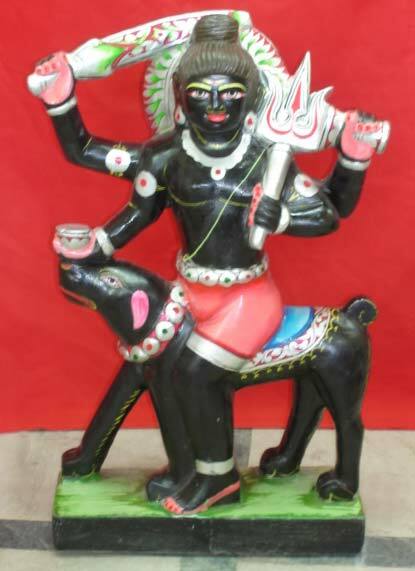 Kala Bhairav Ashtami is also known as Bhairav Ashtami, Bhairava Jayanti and Kala-Bhairava Ashtami. It falls on the eighth lunar day of the Krishna Paksha (dark fortnight) in the Hindu month of Kartik. It is a holy day commemorating the birthday of Lord Bhairava, the fierce manifestation of Shiva. According to a legend the Trimurti i.e. Lord Brahma, Lord Vishnu and Lord Mahesh were discussing as to who was superior of them all. In the heated debate, Shiva felt offended by the remarks made by Brahma and commanded Bhairava to sever one of Brahma’s five heads. Bhairava obeyed Shiva s orders .Thus Brahma became four headed. Bhairava s sin of Brahmhatya was expiated when he reached the holy city of Varanasi after wandering throughout the world. There are many temples in Varanasi dedicated to Lord Bhairava. By worshiping Lord Shiva in the form of Kala Bhairava one can get rid of all the misfortune. The devotee enjoys all round success and is exempted from his sins. Lord Bhairava, Shiva and his consort Parvati are worshiped with flowers, fruits and sweets. 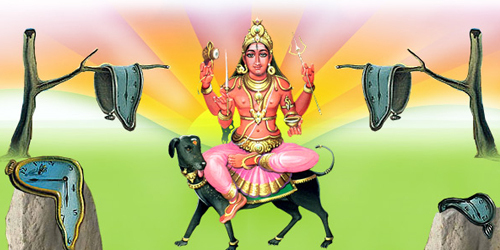 Dogs (vehicle of Lord Bhairava) are also fed milk and food. Dead ancestors are remembered and offered oblations on this day. The Shaivites take ritual bath in the morning and perform Puja. Devotees fast throughout the day and perform Jagaran at night. Kaalbhairav Katha is recited by the devotees. They also perform Bhairva Aarti at midnight along with traditional musical instruments. A huge function is organized at Bhairav Prasad Temple in Vaishno Devi every year. In Varanasi lots of cultural programs and prayers are observed.